Halloween in the Hub. It&apos;s more than a one night affair. October 31 will of course feature a host of ghoulish galas, but don&apos;t limit your macabre merriment to just one night. From the Seaport District to Harvard Square, and countless places in between, frightful festivities take over Boston this week. Don&apos;t miss out! Get started on Wednesday night as Harvard Scare kicks off with the second annual Halloween Show at the Beat Hotel: costumes, cocktails, and eerie décor set the stage for the popular pop band What Time Is It Mr. Fox? Looking for more fear than frolic? On Thursday, October 30 at 7pm Cambridge Historical Tours offers a 90 minute spooky stroll through Harvard Square, Harvard Yard, and the Cambridge Burying Ground. 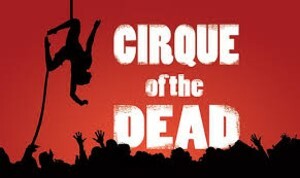 If theater is your thing, A.R.T&apos;s Oberon brings back its "unsavory circus" Cirque of the Dead with two performances on Thursday and Friday at 7pm and 10:30pm: aerials, acrobats, live music, and horrifying hoopla all come together in this burlesque extravaganza. 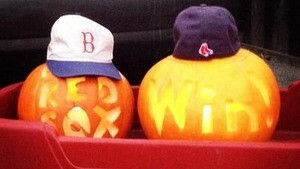 The Red Sox certainly had a frightful season but don&apos;t let that scare you away from Halloween at Fenway Park on October 30. Trick-or-treat around the warning track from 3pm-6pm at this FREE event. The timeless film "Ghostbusters" will play on the big screen at 7:15pm. And be sure to dress up! The Sox don&apos;t want Wally the Green Monster to be the only one in costume. Obtain your free ticket at RedSox.com/MovieNight. Come Halloween the Seaport and Fort Point areas will be abuzz. The Seaport District&apos;s 5th Annual Halloween on the Harbor is a moveable feast of treats which starts at TAMO but includes over a dozen Seaport bars and restaurants. Walk along the harbor or move amongst these venues aboard a Boston Duck Tour. 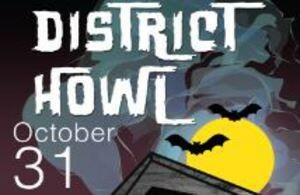 Or just stay in one spot and hit up Halloween Howl at District Hall, featuring great music, delicious treats, and a $500 prize for best costume. If you&apos;re moving north towards Fort Point Channel the Intercontinental Boston puts on a Halloween Bash from 8pm-1am at Rumba and Champagne Lounge; no cover involved but a costume is a must! If you prefer a family-friendly option the Boston Children&apos;s Museum hosts a Monster Mash from 11am-2pm and a Monster Mash Dance Party and Scavenger Hunt begins at 6:30pm. Maybe you have a specific fancy or eclectic need. Are you into the zombie fad? Hit up the Zombie Prom at Beehive. Dig Jazz? Enjoy the spooky scintillation of a theremin and jazz ensemble at Regattabar. Got a great culinary costume? Dress up as your favorite food or cocktail at Grafton Street and enter to win a Grafton Group gift card. Or perhaps an evening of culture and dance is desired. Boston Ballet puts on a Halloween Masquerade for their October 31 performance of Swan Lake; just dress in black or white and you will receive a free mask upon arrival to complete your costume. So many options and so little time as delicious restaurants and exciting venues across town host Halloween events. Let the planning begin. BostonUSA is here to help. Please see our calendar of events and follow us on social media channels for more information and updates.